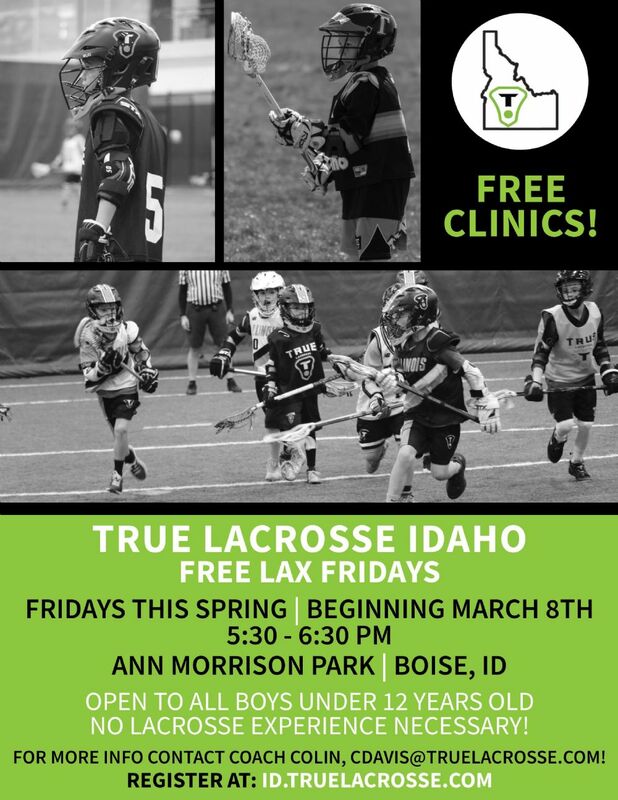 Free Lax Friday's at Ann Morrison Park! Please Help Us Honor the Game! The Treasure Valley Youth Lacrosse League (TVYLL) is looking to hire a new League Director. TVYLL League Director is responsible for the coordination of league operations including setting the annual calendar, hiring of part time positions, and coordinating both paid and volunteer positions to deliver a high quality recreational lacrosse experience for TVYLL members. TVYLL League Director must be passionate and motivated to lead a successful youth lacrosse sports programs and activities. Duties and responsibilities of the TVYLL is expected to be managed on a high level of coordination, communication and to adapt to the changing needs of the members and trends in the field to ensure the promotion of growth, safety, member satisfaction and member retention through the programs. 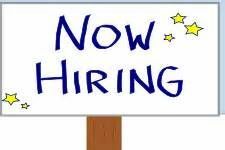 Position will be a Part Time contract position averaging about 25 per week (balanced with more hours during the registration/start of seasons and less in Summer/Winter months). For more information, along with a more detailed job description please contact Megan Dannenfeldt, TVYLL Secretary, at . Rules allow us to keep the game fair. If we win by ignoring or violating the rules, what is the value of our victory? TVYLL believes that honoring the letter AND the spirit of the rule is important. Without an opponent, there would be no competition. Rather than demeaning a strong or weak opponent, we need to honor both strong and weak opponents because they challenge us to do our best as players and as leaders. Athletes can be both fierce and friendly during the same competition (in one moment giving everything to get to a loose ball, and in the next moment helping an opponent up). Coaches showing respect for opposing coaches and players sets the tone for the rest of the team. On the same note, parents on the spectator side should applaud great play by other teams even if the results are not what they had hoped for. Comments about players abilities should be kept to oneself. Please remember that we have both experienced and new players every year so we need to encourage and applaud them all. Respecting officials, even when we disagree with their calls, may be the toughest part of Honoring the Game. We must remember that officials are not perfect (just like coaches, athletes and parents!). Take time to think about how to best approach an official when you want to discuss a call. What strategies do you have to keep yourself in control when you start to get upset with officials' calls? We must remember that the loss of officials (and finding enough in the first place) is a major problem in most youth sports organizations, and we can find a solution by consistently respecting officials. Never confront an official in front of players. Always finish the game by shaking their hands and saying "Thank You!". It's easy for young athletes to think solely about their own performance, but we want athletes to realize that being part of a team requires thinking about and respecting one's teammates. This respect needs to carry beyond the field/gym/track/pool into the classroom and social settings. Athletes need to be reminded that their conduct away from practices and games will reflect back on their teammates and the league, club, or school. Athletes should be encouraged to live up to their own highest personal standard of Honoring the Game, even when their opponents are not. An athlete's respect for themselves and their own standards must come first. 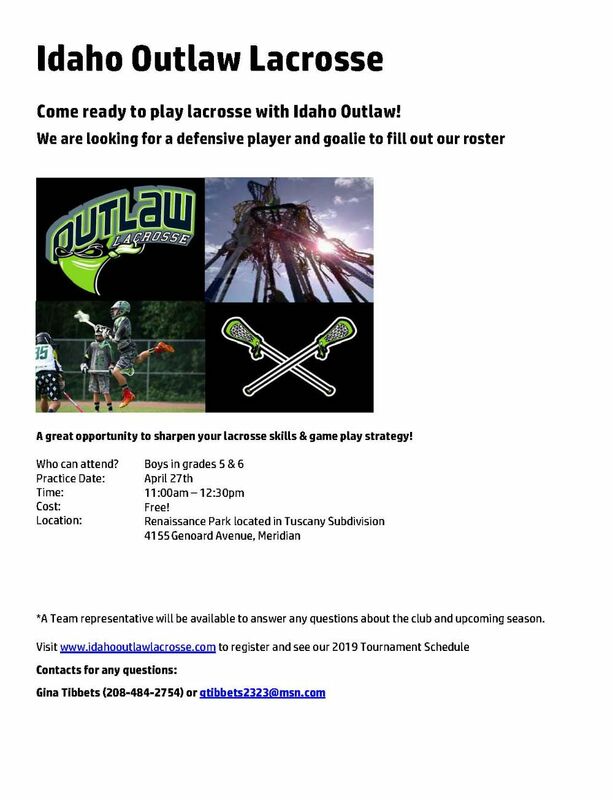 Treasure Valley Youth Lacrosse League! Here at the TVYLL, we are all about introducing and developing the sport of lacrosse for the youth and middle school players here in the Treasure Valley and beyond! For those who are new we would like to welcome you to our site and let you know that our mission is to continuously update our information with news about our leagues, local clinics, travel teams opportunities, equipment sales and everything else lacrosse related. Please check back often as we will highlighting several clinics and volunteer opportunities to help improve the league and expand the sport in Idaho. Again we invite anyone who has some interest to contact us to help! We look forward to seeing you at the fields.